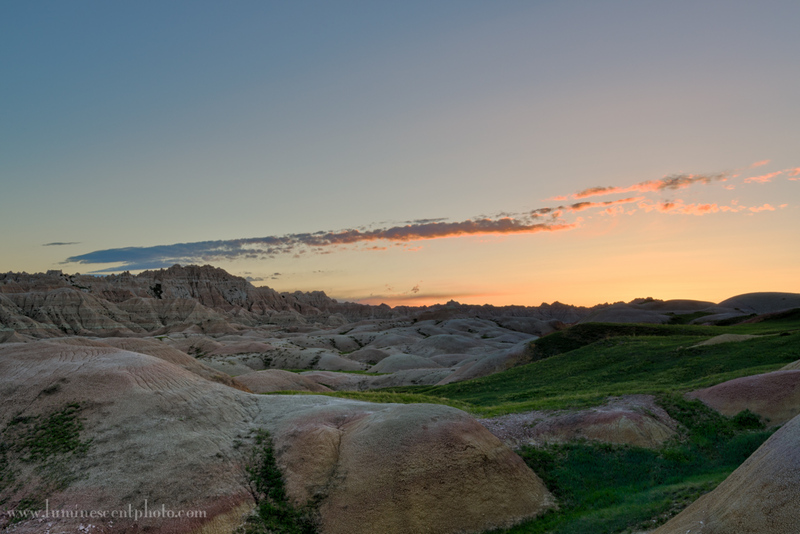 This is a sunrise image from my recent trip to the South Dakota Badlands. 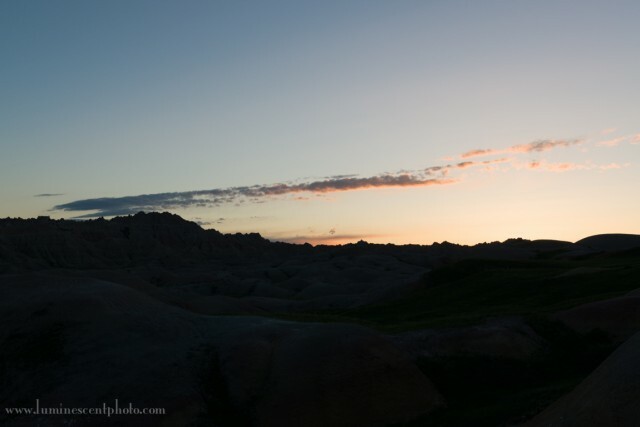 It’s a typical scenario at sunrise: pretty clouds and a back-lit foreground. I captured a standard ±2EV bracketed exposure series with the Nikon D800e (5-shots), and then processed the image in the Nik Collection (discount here). When shooting into the bright morning sky, dynamic range easily exceeds that of your sensor. Next, I sent all five images to HDR Efex Pro 2 for tone-mapping. I kept things really mild to preserve a clean look, although I did use a Control Point to brighten the foreground and add texture/contrast via the Structure Slider. I tone-mapped the HDR image to be deliberately clean and I left the rest of my adjustments up to other tools in the Nik Collection. 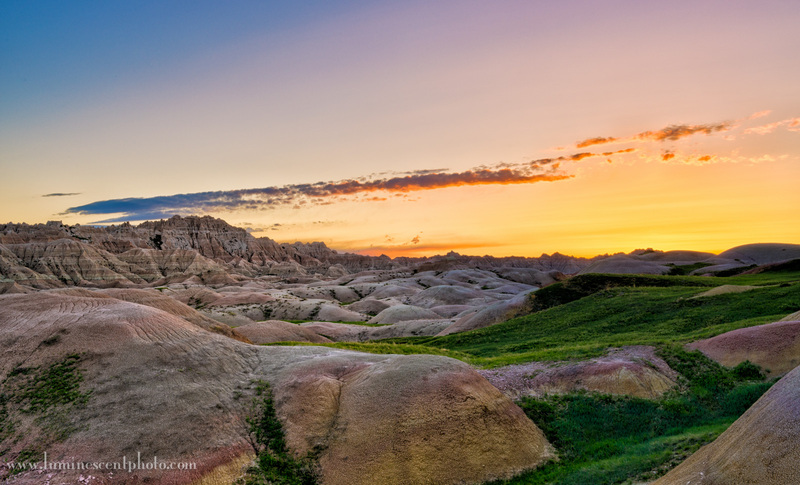 Lastly, I finished off the resulting HDR image using Color Efex Pro 4, also part of the Nik Collection. I used a combination of filters, including Skylight Filter, Tonal Contrast, Glamour Glow (localized to just the sky with a Control Point), and Pro Contrast. I brought the image back into LR5 for final cropping and sharpening. I saved the set of filters I used for this image as a Custom Recipe file that you can download here for free. To install it, you’ll need to have an image open in Color Efex Pro 4 and use the “import” button from the Preset panel. A set of 26 custom presets is also included with my comprehensive guide to Color Efex Pro 4.